How Do I Look Up a Product by Its SKU? What Is the Difference Between a SKU & a UPC? Product manufacturers, distributors, wholesalers and retailers need a method to track characteristics of each unit of product inventory being sold. They have devised numerical systems over time to accomplish this task in an efficient manner. Each company uses its own, unique internal numbering system to highlight the most relevant data for each product, and each Stock Keeping Unit (SKU) typically contains a good deal of useful information. The SKU acronym stands for Stock Keeping Unit, and it usually takes the form of an alphanumeric code used to help companies keep track of inventory. Usually, the product is tangible merchandise, although some companies use SKUs for set blocks of labor, for example. Companies develop SKUs internally for use by accounting, inventory, sales and other company staff. Although the SKU is different from a serial number, style or model number, or barcode number, it may contain the whole or parts of them. Companies use the SKU to identify various products, and the code typically contains several useful pieces of information. For example, a pair of purple boots, size 6, manufactured by Bootsmith with the style name of “Annie,” purchased in March 2017 could have the following SKU: BS-Ann-0317-06-pur. The SKU contains the information as follows: manufacturer, style, purchase date, size, color. Every product has its own original SKU. Database software that houses the SKUs and other product details helps companies sort their product inventory information in various ways to track and analyze sales by product, color, style, supplier, time in inventory and more, depending upon which pieces of information management integrates into the SKU. Because firms create their own internal SKUs to keep track of each inventory unit, SKUs for the same product vary among different companies. When a retailer shows its product SKU in an online sales flyer or ad, for example, online shoppers aren’t able to price-compare the same product across several stores using the SKU alone. This stops the competition from price-matching advertised sale prices and taking customers away from the business that paid for the advertising. Since SKUs are usually proprietary and serve internal company staff, they may be difficult to locate for people who do not work for the company. If you already have a SKU, simply typing it into your favorite search engine may return search results containing the product you seek. If you know which retailer the SKU came from, a phone call to the company could help locate the product. Some websites include the SKU for each product in an online catalog or sales page, while physical stores might include the SKU information on the product’s price tag and in the store's database. SKUs could also appear on an emailed sales receipt or a packing slip from a product shipment, so an email search could turn up the product from a previous purchase. In addition to a SKU, most products also have another identifying number called a universal product code, or UPC. UPCs are identical from one company to another, and manufacturers make the product’s UPC the same regardless of which channel ultimately delivers the product to the customer. By using a barcode scanner or a scanner app, you can find the basic product information on any inventory item using its UPC. The consistent UPC code maintains a globally unique identifying number for a given product and keeps a global standard of information, although UPCs track only basic information about each product. When retailers add products to their inventory, they must both add the product UPCs to their inventory tracking databases and assign their own internal SKUs to each product. 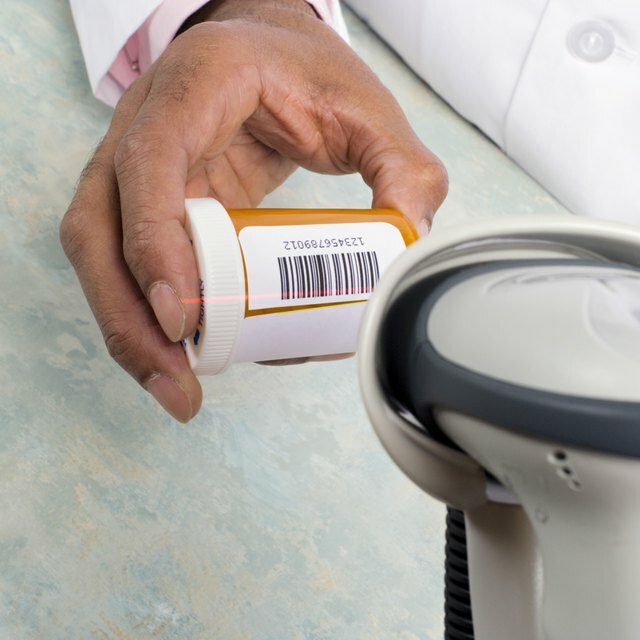 While UPCs can identify inventory items, each company can attach any number of attributes to a SKU. Company owners can build SKU lists that make inventory more convenient for employees, as well as for bookkeeping tasks and internal data management. A UPC will always remain the same, but you can create your own SKU list system to fit with your own inventory logic.